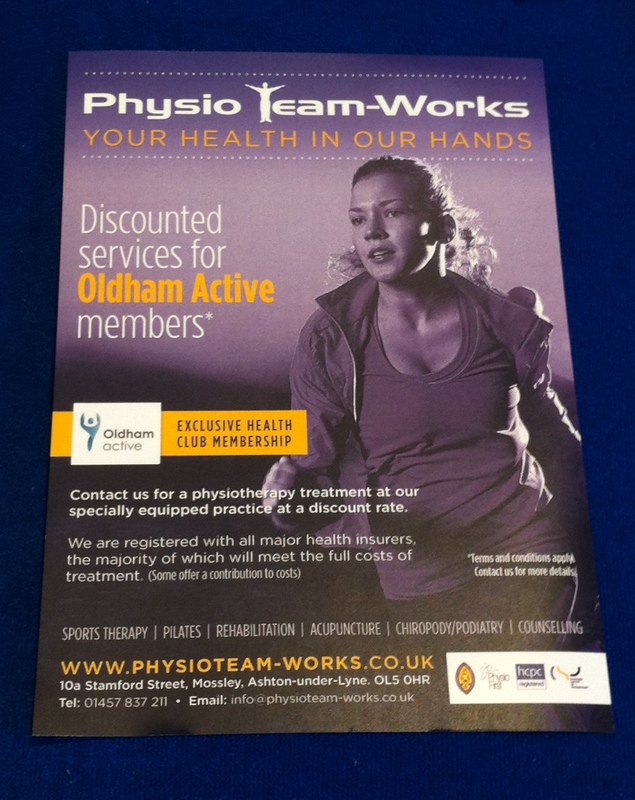 Did you know that Physio team-Works offer discounted services for Oldham Active Members! Call our friendly team today to find out more! Good work – that is, work within the capability of the person doing it – is linked to health. Work can bring both mental and physical health benefits, and so being in work is a key determinant of health. Most people need to work and socioeconomic success is also a factor in life expectancy. The UK population is living longer and there is an associated rise in the government pension age. As we age, most people will develop long-term health conditions that they will need to manage whilst working. The workplace now needs to support people so that their ability to contribute is sustainable. productive work remains a government priority. (4) There is clearly a pressing need for best value and productivity in healthcare. Physiotherapy can help. It is a regulated, clinically and economically cost-effective profession. Physiotherapists are autonomous practitioners, with the skills to accept referrals directly. They assess, diagnose, advise and treat people in many clinical and non-clinical settings, both inside and outside of the NHS. They are experts in the prevention and treatment of MSDs and of other conditions affecting people of working age, such as cancer, cardiac, respiratory and neurological conditions. According to Macmillan, there are currently over 750,000 people of working age living with cancer and it is predicted that there will be 17million people living with arthritis and 3 million with cancer by 2030. All physiotherapists can give advice to help people to prevent problems related to their work. They advise employees, enabling conversations with line managers, and liaise with other health care professionals, family and carers as needed. Where a problem or health condition already exists they work with people to achieve optimal function and mobility – with work an important treatment outcome. Physiotherapists add further value in supporting the public’s overall health. For instance, they can give specific advice about physical activity levels based on an individual’s clinical physiotherapy assessment. This can help people address concerns such as obesity, leading them to better overall health and promoting self-management of their condition. 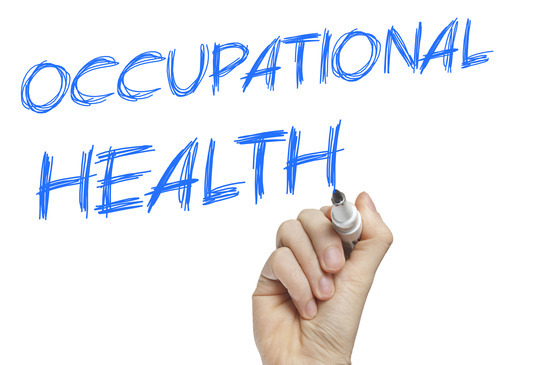 Within the workplace, physiotherapists specialising in occupational health and ergonomics can provide targeted support in response to the needs of staff and their roles, as well as the business needs of employers. They liaise with line managers and others to promote workplace health and minimise sickness absence. The NHS itself, the UK’s largest employer, has a high rate of sickness absence due to MSDs, costing around £400m per year. Early access to physiotherapy is now included in government measures. For instance, as part of the work generated by the Five Year Forward View aimed at reducing sickness absence in NHS workers. If you suffer from any of the following then please call 01457 837211 and speak to one of our Chartered Physiotherapists and let’s see how we can help. Are our tablets and smart phones a pain in the neck?! Something we would never think about possibly? Now, just think… how do you sit when using your tablet or phone? It is not “the norm” to watch our posture when we are sat relaxing on the sofa or on the bus using our smartphones. Sitting puts twice as much pressure through our discs in the lower back as standing, so we need to recognise we are vulnerable and take precautions to avoid any future detrimental effects on our bodies. If your passion is skiing or snowboarding it make sense to do a little bit of prep work before you go. Whatever level you are at, unless you are skiing on a daily basis, you need to get fit. I have highlighted the key components of your preparation basics of preseason training. There are four fitness components that every skier and snowboarder should incorporate into his or her workout plan. Here’s what you need to know about each one.